Canadian junior finalist Mya Kresnyak in a variation from "Paquita." Photo by Richard Finkelstein, Courtesy USA IBC. On June 10, 119 dancers from 19 countries gathered in Jackson, MS to compete in the USA International Ballet Competition. Today, the USA IBC announced the list of 32 finalists, who will compete for medals and cash awards in Round III, held June 19-21. All of the finalists will receive a travel stipend, and medalists and award winners will be announced at the competition's gala on June 22. See the full list below, and stay tuned all week on our Facebook and Instagram pages as we bring you the latest from Jackson, live. Jordan Coutts. Photo via Instagram. We've turned our clocks back and pulled out our scarves and hats. That can only mean one thing—winter's coming. And with it, the Prix de Lausanne. After carefully viewing video submissions from 380 dancers (297 girls and 83 boys), the Prix's jury of dance world professionals narrowed the pool down to 69 candidates. 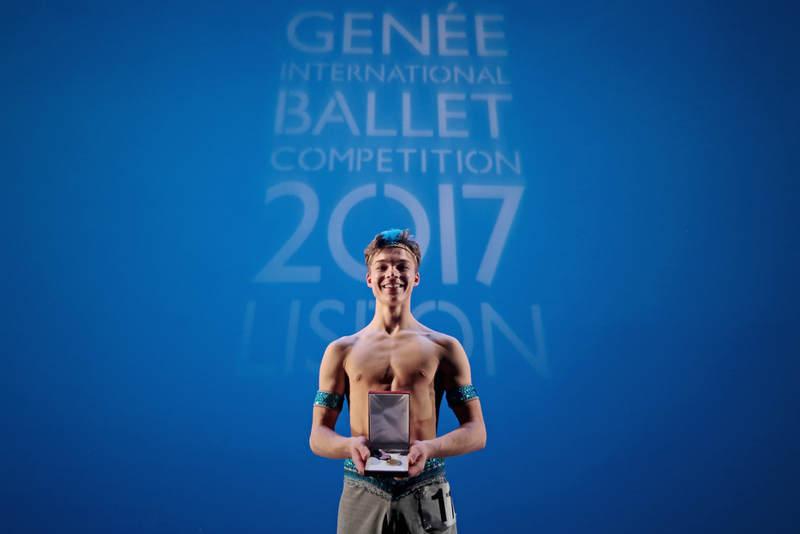 With the addition of nine candidates preselected at the Youth American Grand Prix in New York, the International Ballet and Choreography Competition in Beijing and the Prix de Lausanne's South American preselection in Montevideo, a total of 78 total candidates will be making their way to Switzerland in January. Get to know the seven U.S. competitors here, and stay tuned for more updates on the Prix in the coming months. Get to know 14-year-old Finnian Carmeci in this video interview from his Portland, Oregon–based school. Though Carmeci didn't start dancing until he was 12, he has focused on his technique and strength building and has skyrocketed through his school's curriculum. Jordan Coutts trains at V&T Classical Ballet and Dance Academy in Laguna Hills, California. Founders Victor and Tatiana Kasatsky teach a classic Vaganova style. Here's Coutts in a variation from Paquita at the Moscow International Ballet Competition this summer. The ballet world is full of competition, from the recent Youth America Grand Prix to constant auditioning and jockeying for roles. But the English National Ballet takes it to the next level; for the past eight years the company has held its annual Emerging Dancer competition, a chance for ENB's lower-ranked dancers to compete for the Emerging Dancer Award. The competition has been a good predictor of future ENB stars. Past winners include principals Shioni Kase and Yonah Acosta. This year's Emerging Dancer competition will take place at London's Sadler's Wells Theatre on May 25. The six finalists, nominated and coached by their peers in the company, will each perform a classical pas de deux followed by a more contemporary solo in front of a panel of distinguished judges including their boss, Tamara Rojo. The 2017 female finalists are Isabelle Brouwers, Rina Kanehara and Madison Keesler, an American dancer previously with San Francisco Ballet. All three have been finalists before, and their deep passion for ballet is clear.